After breakfast at your hotel, you will be picked by our company safari guide and transferred to Lake Kivu. 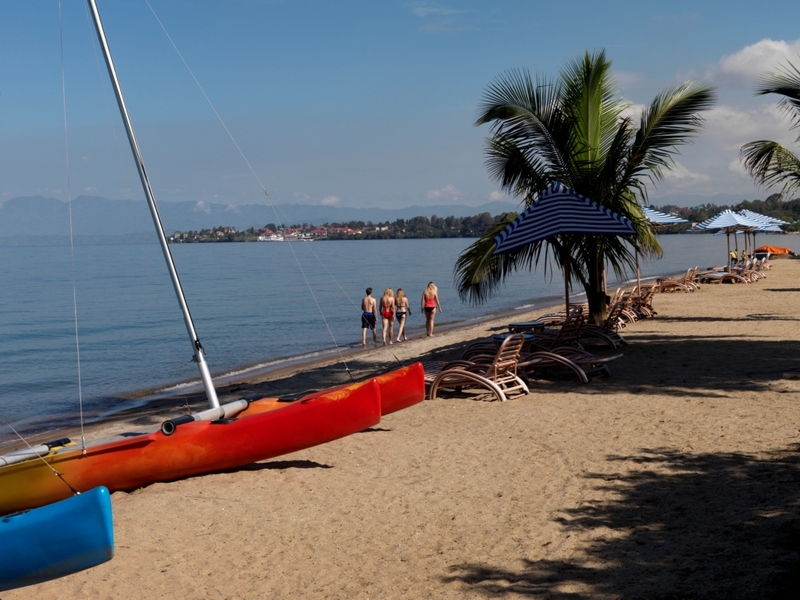 Upon arrival at Lake Kivu, head for a canoe ride which will give you a beautiful sea feel as you watch over to see local fishermen and number of bird species at different corners of the Lake and later head for lunch. After lunch, spend the rest of the evening refreshing and enjoy the sand on beach. End of the 2 Days Visit Lake Kivu Tour Rwanda. The 2 Days Visit Lake Kivu Tour Rwanda package excludes expenses of personal nature like: Air fare, Visa, drinks, laundry, tips to local guides, telephone, porter fee while trekking, personal insurance, personal shopping bills and cigars.